At the law office of Charles N. Pizzolo, located at 901 Stewart Avenue, Suite 230, Garden City, N.Y. 11530, our goal is to provide each client with most outstanding and aggressive legal counsel available. Charles Pizzolo has gained a reputation for his relentless commitment to excellence. When working with Charles N. Pizzolo you can have peace of mind knowing that your legal issues are in the best possible hands. 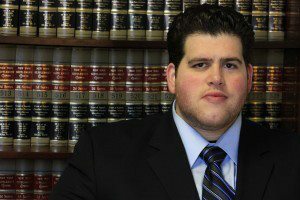 At the Long Island Legal Office of Charles N. Pizzolo our services range from criminal defense, personal injury, family law, and more. Having spent the majority of his life in New York City, Charles N. Pizzolo understands the often chaotic and unpredictable atmosphere of inner-city pressures. Our aggressive approach to your victory stays in the courtroom. We provide a comfortable atmosphere and long-lasting relationship with all of our clients. Our hours are flexible and we work to serve YOU. Call us today to find out how we can work together to help you settle your legal issues. When you need help or are in a bind you can call us at any time (917) 670-4818. We are available for consultation. The earlier you connect with us the earlier we can help solve your problem.